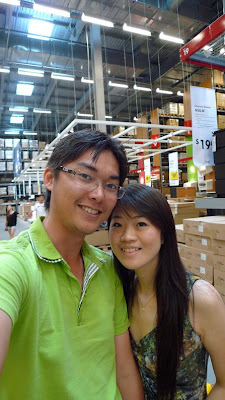 My husband and I went shopping to IKEA Tampines last Saturday. Shopping in IKEA is always fun. 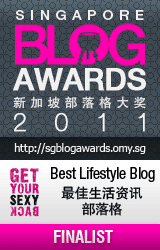 Our main mission was to find a writing table for the AMK room. We have been surviving without a table in the new house for about three months already. Ready to hunt the table. Shop shop shop 'til you drop. 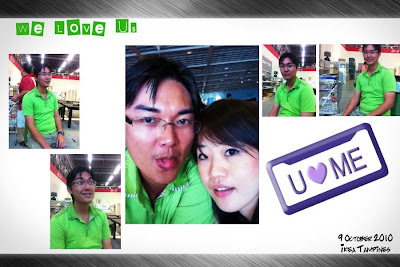 We bought quite a number of stuff there such as a table, a chair, a photo frame and a plastic container set. Surprisingly they all only cost us about S$77 in total. 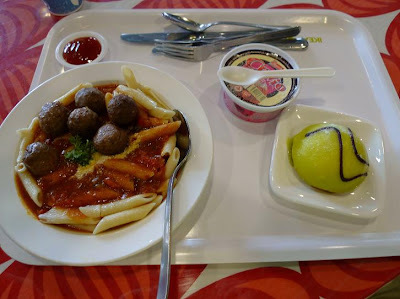 Not to mention, we had the chance to taste the infamous Swedish meatballs again with a cup of Neapolitan Ice Cream and Princess Cake for lunch. Lunch Menu: Swedish meatballs pasta, Neapolitan ice cream and Princess cake. Trying IKEA's meatballs pasta for the first time. 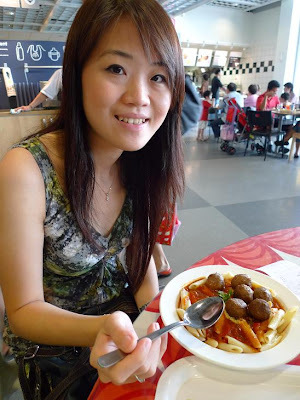 The meatballs with potato dish is still better. Just now I thought of compiling my husband's comical face series using Scrapblog again. I purposely snapped lots of his candid expression pictures when we were checking the garage sale for the partially damage products there, despite his constant protests. The photos look rather small, huh! Just stopping by to say Hi! 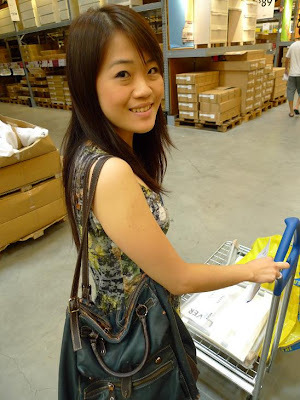 I love IKEA and really miss it when I don't live in Singapore. I think I can go there every week just to eat. Hahaa..